Herbert Clark Hoover, was the first president born west of the Mississippi and the first and only president born in Iowa. Hoover was born August 10, 1874, to Quaker parents, Jessie and Hulda Minthorn Hoover, into a very modest two-room white clapboard home. He was the son of a blacksmith and orphaned after both of his parents died, his father when he was six, his mother when he was nine. Eventually he was sent to live with his mother’s brother, John Minthorn, in Newberg, Oregon. Hoover attended the first class at Stanford to study engineering. He graduated and went into mining, where he made a fortune in Australia and China. He married his college sweetheart, Lou Henry. While in China, Herbert and Lou taught themselves Mandarin, which they often spoke to each other when they didn’t want others to eavesdrop. Hoover made his way into politics first as Secretary of Commerce under president Harding and then President Coolidge. After Coolidge’s term, Hoover ran for the presidency and beat Democrat Al Smith. Only nine months after he took office the stock market crashed and with it went his presidency. His belief in rugged individualism made him ill-equipped to deal with the economic catastrophe. Hoover is to the presidency as Edsel is to the car–considered a lemon–because of his inability to deal with the disaster of the Great Depression. 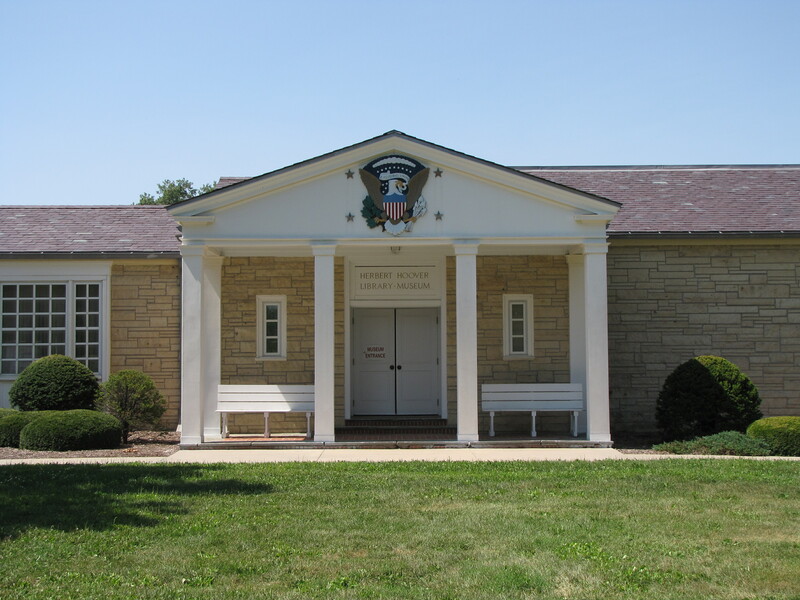 The Hoover burial site is in West Branch, Iowa. 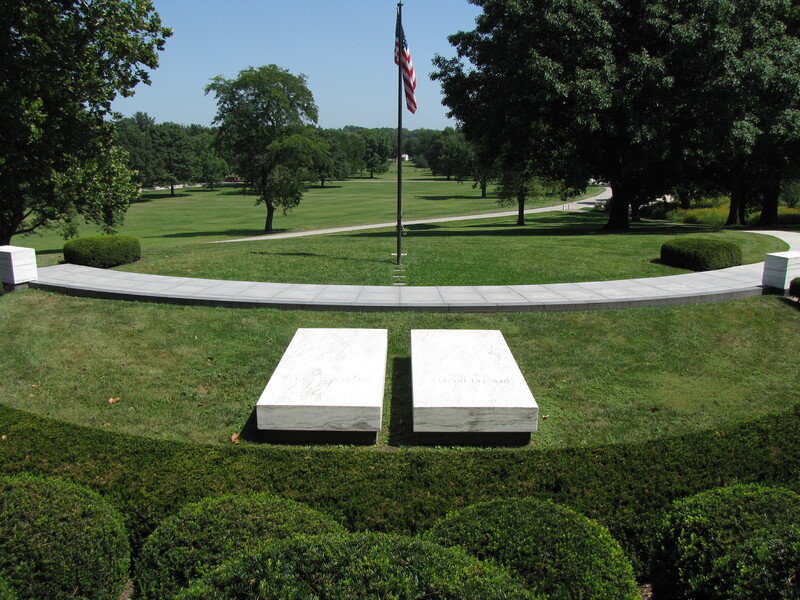 The two graves, marked with white marble grave ledgers, sit up on a slope that overlooks Hoover’s birthplace. 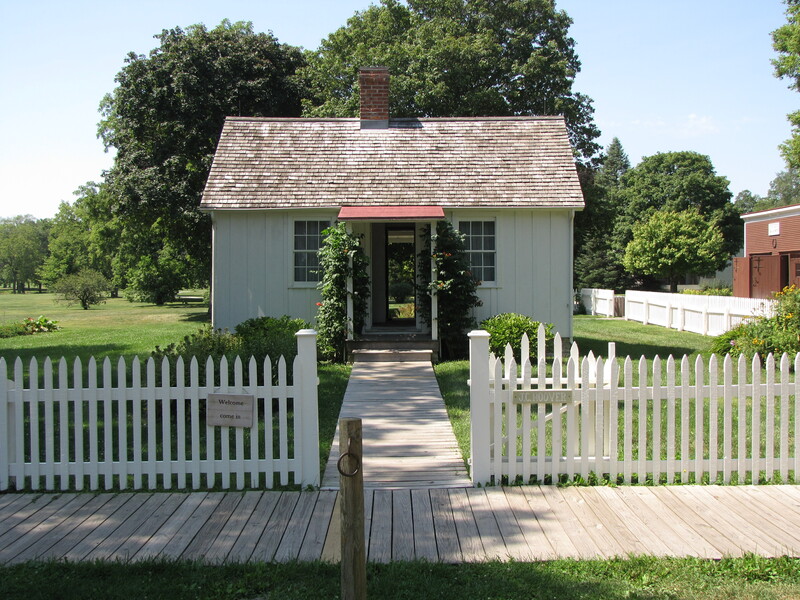 If you look directly past the flagpole, you can see the back of a small home, the two-room home in which Hoover was born. This is also the site of the Hoover Presidential Library.